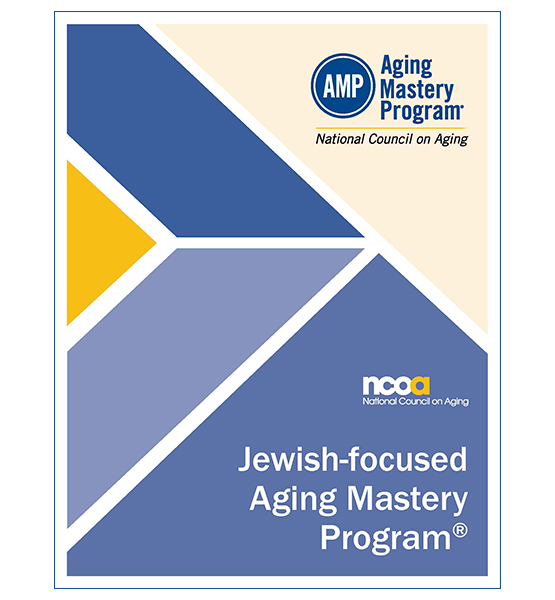 The Jewish-focused Aging Mastery Program® (AMP) is a 12-session program that consists of the standard AMP core curriculum "bookended" with classes that connect Jewish spirituality and wisdom with actions proven to improve health and well-being. Jewish wisdom is full of insights about living well in old age that enrich the AMP curriculum and make it more relevant to baby boomers and older adults of the Jewish faith. Participants in Jewish-focused AMP will create their own playbook for aging well via actionable goals, sustainable behaviors, and peer support, all in the context of their faith. You must have a valid AMP license number to purchase the Jewish-focused Aging Mastery Program® kit. You can find your AMP license number in the AMP Community Site.